Cereal growers in the inland Pacific Northwest produce over 130 million bushels of wheat annually, 85% of them without irrigation. Grain production value exceeds $500 million annually. Agriculture is a principle source of economic stability for rural communities and the region as a whole. The region has historically had a climate warming trend of approximately 0.1oC per decade. Under current climate predictions, this trend is expected to accelerate leading to increases of 3.3oC by late in the 21st century, accompanied by dryer summers and wetter winters. The REACCH project was initiated in 2011 to ensure sustainable cereal production in the inland Pacific Northwest. The project was led by an interdisciplinary team of scientists and other professionals from three land grant institutions and the USDA Agricultural Research Service, with funding from the National Institute of Food and Agriculture’s Climate Variability and Change Program. 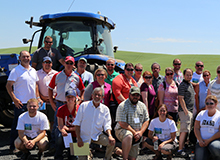 Participants from many disciplines related to agricultural, climate, socioeconomics, and information sciences engaged in an integrated research, education, outreach and extension effort to study complex cereal production systems and their responses to drivers of change. The project was guided by our overarching and supporting goals (left) and a conceptual logic model that organizes our work towards nearly 50 milestones and deliverables. 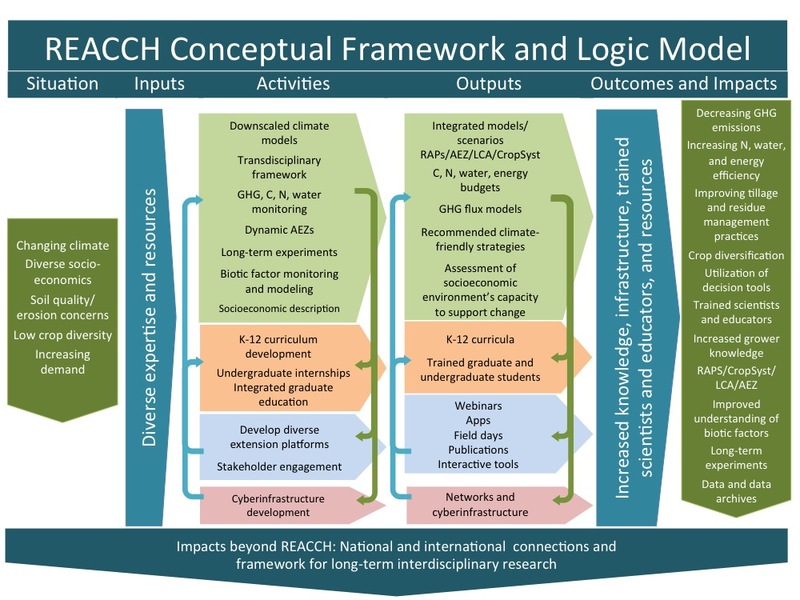 This website provides access to the highlights of the work undertaken by REACCH, its outputs and impacts, and its legacy in the form of ongoing partnerships and funded research. You can follow links below or navigate through the tabs above to learn more. To learn more about our collaborative and international efforts, visit our Partners page and the Transitioning Cereals Systems website. We invite you to join us in our long-term vision of sustainable agriculture that will continue far beyond the end of the project. 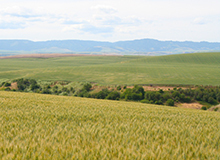 Enhance sustainability of PNW cereal systems and contribute to climate change mitigation. Implement sustainable practices for cereal production. Reduce greenhouse gas emissions from agriculture. Collaborate with stakeholders and policy makers. Prepare professionals to address climate change in agriculture.